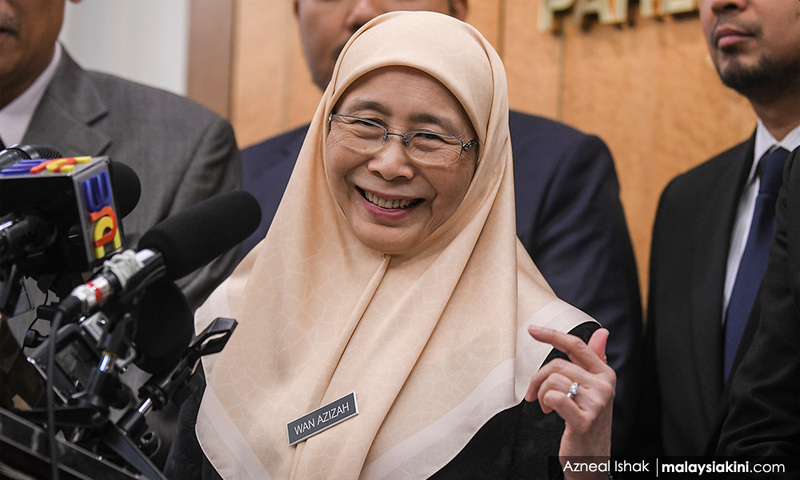 Women, Family and Community Development Minister Dr Wan Azizah Wan Ismail said a children’s commissioner would be the more practical option in the shorter term to resolve all relevant issues, including better monitoring of children’s welfare. “Appointing and placing the children’s commissioner within the existing structure of the Human Rights Commission (Suhakam) is a step towards addressing issues concerning children in the country in the shorter term. “This is a more practical short-term solution to ensuring that all issues relating to the welfare and protection of children are monitored and the relevant agencies shoulder their respective responsibilities,” she said when replying to a question from Azalina Othman Said (BN-Pengerang). Azalina wanted to know the status of the independent children’s commission, which was said to have been under consideration. Wan Azizah said the decision was made as it took into account the existing structure of Suhakam. “Although Suhakam is for human rights, we appointed the children’s commissioner especially to handle children’s issues. "The commissioner comes under the Suhakam structure but only handles the special functions involving children. “The commissioner will act as a check and balance in the handling of children’s issues by the government NGOs and local or international organisations, and make periodic reports and recommendations on children’s issues to Parliament,” she said. Wan Azizah noted that the children’s commissioner was appointed after taking into account the best practices in addressing children’s problems in neighbouring countries.